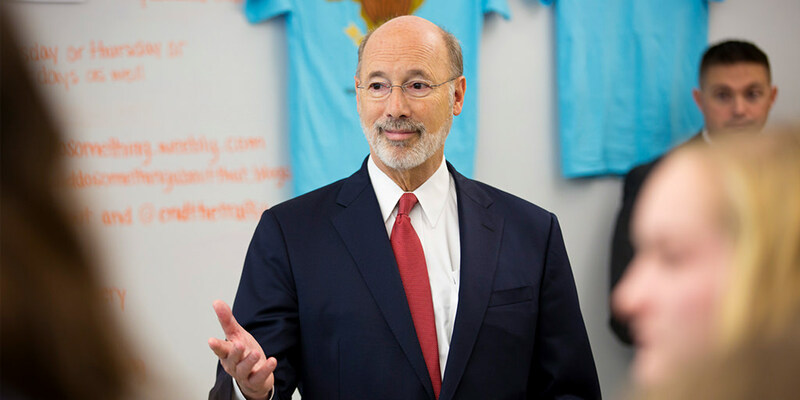 Harrisburg, PA – Building on his commitment to prepare students to use computers and technology in their careers, Governor Tom Wolf today announced $8.7 million in targeted grants to expand computer science classes and teacher training at 765 schools across the commonwealth. “Over the next decade, seven in ten new jobs in Pennsylvania will require workers to use computers and new technologies in a constantly changing economy,” said Governor Wolf. “With these grants more students will get the skills they need for emerging high-demand jobs. In addition to helping schools introduce and expand computer science programming, the targeted grants will provide greater opportunities for students of color, low-income students and girls to learn critical skills needed to succeed in today’s workforce. Targeted grant recipients include 221 school districts, two career and technical centers, and 18 charter and cyber charter schools, and eight intermediate units, each of which will receive $35,000. Additional funding in the $30 million PAsmart initiative for science and technology education, apprenticeships and job training will be announced in the coming weeks.